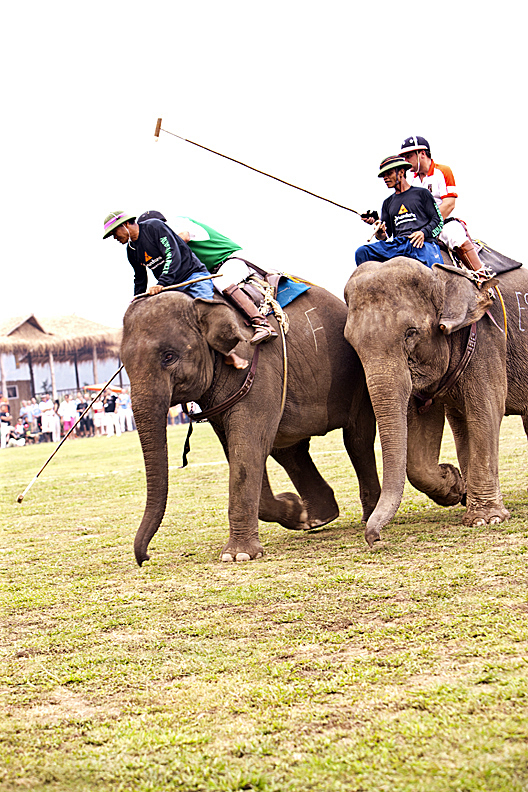 THE DATES HAVE BEEN SET for the 2012 King’s Cup Elephant Polo Tournament – Sept. 12-16 in the royal seaside town of Hua Hin, a two-hour drive from Bangkok. The tournament, a charitable event now in its 11th year, has gone from a small two-day event in 2001 to one of the best-loved events in Thailand and internationally. Anantara Hotels, Resorts and Spas, which made the announcement, noted that the event had raised more than $1 million to help Thailand’s elephants. Bill Heinecke, CEO of Minor International and owner of Anantara, said that while this year’s edition promises to be bigger and more fun, “we must never forget the true meaning of holding the event – and that is to make a considerable donation to the conservation and welfare of the Thailand elephant population – and this year we’re more determined to raise more money than ever”. Last year’s tournament featured 12 teams encompassing over 40 players, including German royals, Prince Carl-Eugen Oettingen-Wallerstein, his wife Princess Anna and daughter Princess Joanna along with members of the New Zealand All-Blacks rugby team. A celebrity auction was also held with international celebrities including Olympic 100 metre Gold Medalist Linford Christie, Grammy Award winners Lady Antebellum, UK fashion designer Anja Hindmarsh and Korean Pop Star Park Jung Min. supporting research and clinics and using elephants in therapy sessions for children in Thailand living with autism. The money raised has also been used to launch the first and only elephant hospital in southern Thailand, as well as a human-elephant conflict project between the Golden Triangle Asian Elephant Foundation (GTAEF) and the Elephant Conservation Network (ECN) charity, which works in a wildlife reserve in Kanchanaburi.